‘“It would be interesting to see to what degree the New York liberals change Trump and to what degree Trump changes the New York liberals.”’ So spoke Newt Gingrich and, no, he was not talking about liberals like Bernie Sanders or Barbara Lee. He was talking about the social liberals who populate Wall St. vs. the far right ideologues like Bannon who are so influential in the White House. This comment comes from an extremely interesting article in the Washington Post – one that’s more than worth reading in full. The article describes the relationship between Bannon and Priebus, on one side and Gary Cohn, Trump’s chief economics advisor and Dina Powell, Deputy National Security Advisor. 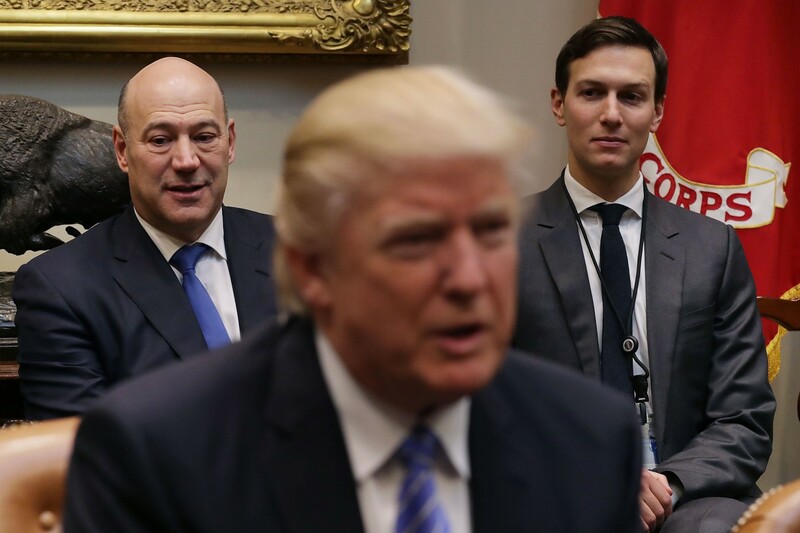 Both Cohn and Powell are former executives at Goldman Sachs, and according to the article they are close to Commerce Secretary Wilbur Ross, Treasury Secretary Steven Mnuchin and Secretary of State Rex Tillerson. As such, a tug of war is going on within Trump’s White House between this group – representatives of finance capital – and the right wing ideologues. Another insider, Larry Kudlow, explained “Trump is instinctively drawn to them (Cohn and Powell), but that doesn’t mean he’s losing his populist message.” In other words, as with all capitalist politicians, Trump is drawn to the tops of finance capital, but at the same time, unlike many others, Trump has a real popular base and a tug-of-war is going on between these pulls. Part of the struggle is over to what degree and how fast the Trump administration can reverse any small gains made over the last decades. That’s where the comment by Gingrich comes in: Most of the US capitalist class had thought that they’d have to go slowly; use caution. As his budget shows, as his repeal of one environmental protection (however weak) after another shows, Trump – with Bannon egging him on – has put the peddle to the metal. If he can get away with it, then he will win over the “New York liberals”, meaning the tops of finance capital.